In the next generation we place our greatest hopes – to go that bit further than our own. I learned this trait early from my late father, Naz Bokhari. As a parent, together with my mother, he constantly instilled in my sister Hina and I the need and the tools to give something back to society. He drew the connection firmly between our own education, which we could not take for granted, and public service: it gives the classroom its sense of purpose. Nor were we alone, as pupils of his would testify. As an educationalist, most notably as headteacher at Ernest Bevin Secondary School, Naz knew how young people from deprived and minority backgrounds faced unique and systemic challenges in being able to meet their own potential, especially when faced with the racism of that time, which he had himself faced. He mentored, counselled and inspired pupils to overcome these challenges, and persevered with them about the roles they must play in their country, often against all odds. I was to learn that my father’s commitment to public service had roots in his own education and upbringing in the late days of the Raj, in what we know as Pakistan today. His British education and British teachers had filled him with devotion to Queen and country, and that blossomed through his life in London. This was not pure reverence, rather a recognition of Her Majesty’s ongoing life of service, the exemplary and selfless manner of her conduct, and her vision of a truly inclusive society. It was an example and a vision that spoke to Naz, for the children he wanted to raise and teach. This is why, for the work of the Naz Legacy Foundation this year, we felt it apt to hone in on the importance of public service, and share with young people the many hopefully inspiring ways in which they can contribute – through first-hand access to the nation’s great institutions. 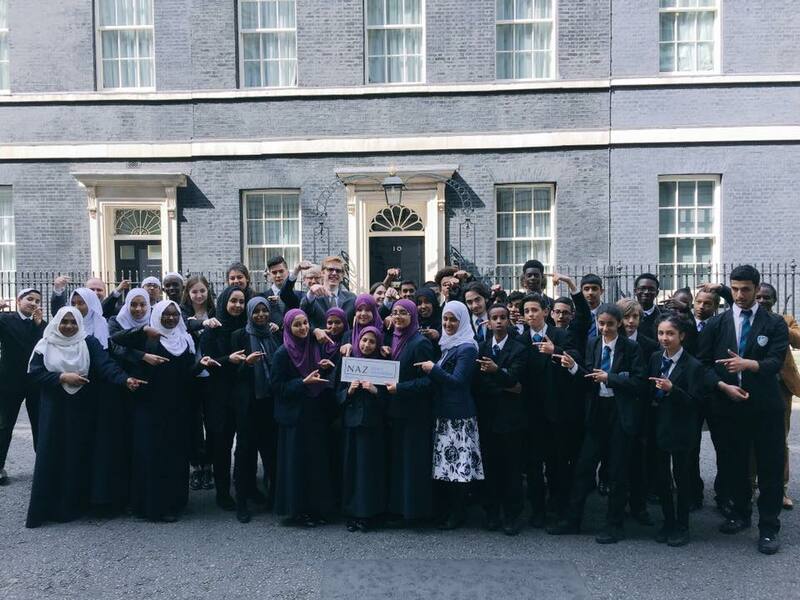 Fifty pupils from five schools in our capital will join our Diversity Programme this year – once again supported by TES, the Prince of Wales’ mentoring charity Mosaic and the Prime Minister. 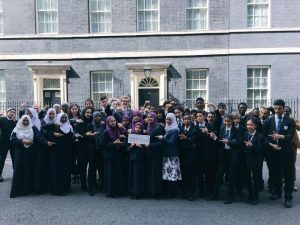 We are delighted that pupils will have – all for the first time – the honour of visiting a special royal establishment, Parliament and finally Number 10. Individuals including the Leader of the House of Lords, Baroness Stowell, will explain to them the work of their institutions, as well as their own paths and the roles that they play. We will continue that endeavour of Naz to promote an inclusive sense of democracy: where learning about how you can contribute to your country is the right of all, and where your background should never stand in the way of your aspiration. But this year we also aim to shine a light on the Queen’s vital role in British civic and democratic society, and the way in which she serves with dedication and humility. I am sure on her 90th birthday, my father would expect nothing less! It is important for young people, as they try to find their place in the world, to gain an appreciation of the role that the Royal Family plays. Pupils will learn about the positive ways in which the Royal Family, and the countless foundations and initiatives they support, contribute to Britain and the world, often quietly. Crucially, the Queen shows us that public service is a marathon not a sprint – leaving a true legacy calls upon the test of time. Though the reach of our foundation is limited, we hope this message – Naz’s message - can be received more widely. The nation and its institutions belong to all our children, and we must help them to discover a sense of civic duty, no matter where they are from.